We have service technicians who are always ready to provide prompt, efficient, and reliable services for malfunctioning garage door openers. You don’t have to look hard to find a competent garage door company in Chatsworth. 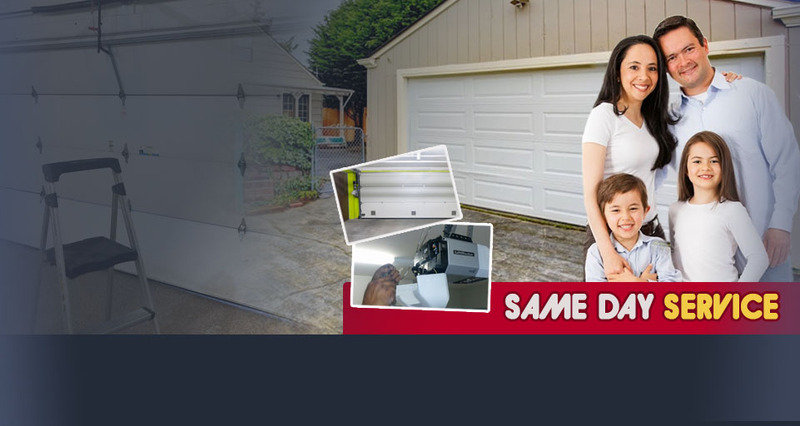 Garage Door Repair Chatsworth has built a sound reputation for providing same day service by qualified technicians who stock their trucks well so they can finish the job in one trip. In addition, we offer an emergency garage door service to our friends and neighbors in Chatsworth to provide them with the peace of mind they deserve. What's the condition of your garage door? Is it safe for your children? Do you need an expert to check on the reverse system? Our company can help you anytime you are ready to make changes or need emergency spring replacement. We fix sensors, tracks, cables and make replacements, installations and adjustments. From lubrication maintenance to same day repair, you can depend on us. Let us help you keep your garage door functional, stable and safe! We offer preventive maintenance service, are here to take care of emergency problems related to tracks, openers and springs, and promise professional door installation and replacement. Rely on our experts to replace parts and take care of your door today! Over the years garage doors will need repairs. 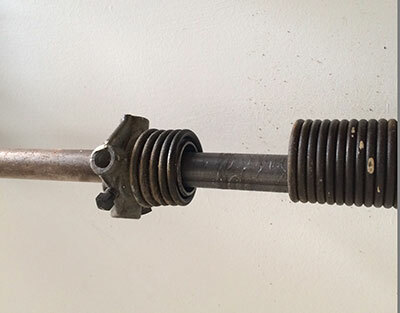 Garage door springs are often part of those repairs. At Garage Door Repair Chatsworth we carry both the torsion and extension spring. We can repair or replace either one as needed. Heavier doors call for the torsion spring and lighter doors require the extension. The garage door opener has become a necessity in most garage operations. It is certainly more convenient to open that door with a remote from your car when it is pouring rain outside. We only keep the best brands in stock like Genie, Chamberlain, Liftmaster, Marantec, and Sears. If you want a cheap opener and don’t mind the noise you want the screw drive. If you want it to be quiet and don’t mind paying a lot more you want the belt drive. If you want something somewhere in the middle you can go with the chain drive, which is most popular. At Garage Door Repair Chatsworth we always recommend that our customers ensure that Maintenance and Adjustments are made on their garage doors on a regular basis. It is important that parts are lubricated and that the proper adjustments are made. We can do this for you. That garage door opener would be pretty useless without the garage door remote to control it. We carry Genie Intellicode, Clicker, Multi code, and Liftmaster security for the convenience of our customers. The Garage door sensors direct the garage door operation. There is safety, infrared, and photo eye sensors mounted on the system. The use of a remote can trigger the opening or closing of the door. In addition, the door will not close if something exists beneath it. This is a great safety feature. At Garage Door Repair Chatsworth we are pleased to offer superb Replacement and Installation services to the residents of Chatsworth. Our certified crew can replace or repair windows and damaged door sections or replace wood, steel, craftsman, aluminum, and glass garage doors. Garage door repair will exist as long as there are garage doors. We are prepared to tackle your repairs so you don’t have too. Whether you need new rubber flaps on the bottom of your garage doors or weather strips our technicians can help you. Our Garage Door Repair Chatsworth crew will place your door back on track and fix your broken emergency release. 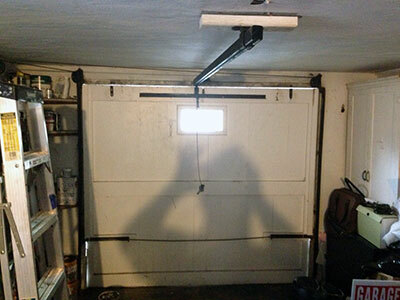 Garage door owners often have trouble with Cables and Tracks as well. Our experienced technicians at Garage Door Repair Chatsworth know that cables get old and loosen up or break completely. Garage door safety cables operate as a failsafe to ensure that faulty torsion springs don’t pose any danger upon breaking and releasing tension. The safety cable should be properly tied to a solid point at the front and rear of the horizontal door track and fed through the torsion spring to give it maximum stability during its operations. These parts are essential for safety since they secure the spring and ensure that it will not be launched upon breaking, which can cause very serious damage or injury. Our promise is to repair your door right, the very first time. We are just a call or click away! We also provide warranty for our products and services and will make sure that the product is again in working condition in no time, as soon as we receive a call from you.